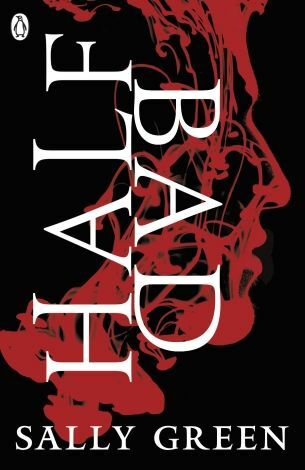 Half Bad by Sally Green book review . Vampires are over, it seems; the next big thing in teen fiction is witches. Nathan lives in a world where everything is black and white – literally, with White Witches (nominally good) and Black Witches (all evil and dark, obviously) living secretly amongst “fain” society. Black Witches aren’t too common in Britain nowadays, though – as the White Witches tend to capture, torture and kill them – and Nathan is unprecedented, born to a White Witch mother and Black Witch father. From birth, he’s tormented by his half-sister and other White Witch children, and hauled in front of the Council each birthday for assessment, to see which half of his parentage is asserting itself. Nathan has never met his father, and is torn between horror at what he’s heard of his crimes, and longing for his dad while trapped amongst the “good” side who imprison and torture him as he continues to defy them. Sally Green creates a well-realised Witch society and peoples it with rounded, identifiable characters, all wrapped up in a compelling plot. It’s easy to see why this book has caused a stir, though only time will tell if the teenagers of the world will take Nathan to their hearts – he’s not a heartthrob yet. The worldly moralising is occasionally a little overdone, with the White Witches behaving so badly that it’s hard to see them as good at all, but their ethos of “any behaviour is justified to protect our society from evil” certainly strikes a chord.